Mr. Pocrass is a shareholder with the Pittsburgh firm of Frank, Gale, Bails, Murcko & Pocrass, P.C. Mr. Pocrass handles complex civil litigation and family law cases involving equitable distribution, pension and business valuation, spousal support, child support, alimony, and custody matters. 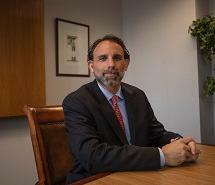 Mr. Pocrass also handles estates, trusts and probate matters. As a result of his pro bono work, Mr. Pocrass has been nominated to the Allegheny County Bar Foundation Fellows Program. Mr. Pocrass received his B.A. in 1994 from Tulane University; received his Juris Doctorate from the University of Pittsburgh School of Law in 1997; and received his MBA from the University of Pittsburgh Katz School of Business in 2005.